I want you to imagine you're playing a game of chess on a computer against another opponent. But rather than looking at the board, I want you to pretend that you're unaware that a chess board even exists. Now obviously pieces are moving on the board but both players are unaware that a board exists. 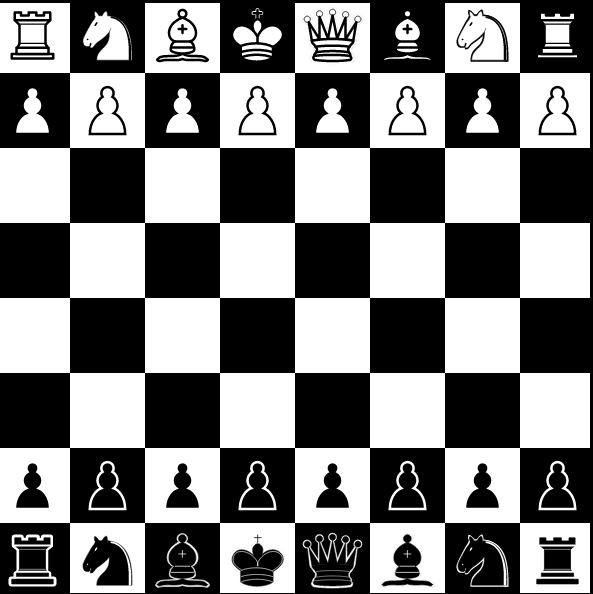 We shall assume some process where a random piece of the type selected is chosen, moved a random number of squares in a random direction according to the rules allowed by chess. Eventually some player will press a button and they will win! People will take note, possibly even copy their moves. You'll probably get people compiling lists of combination presses, all sorts of wonderful books and sorts of information will be generated to help you press the right button. Of course, all of this will be story telling, anecdotes, gut feel and alchemy. You play your game through your control panel, using your favourites "special" combinations and whatever Big Name Strategy consultancy says is the latest set of popular presses. No matter what you do, you're going to get your arse kicked. Even your team of overpriced strategy consultants harping "Press the Rook, Press the Rook" won't save you. But worse than this, the more you play this person then the better they will become and the arse kickings will get even more frequent. Mapping is like suddenly exposing the chess board in business and playing against companies who view the world through the equivalent of a control panel. This is why it always makes me smile to hear people talking about business strategy as either like chess or going beyond it. Most business strategy is nowhere close to this - it's more story telling, anecdotes, gut feel and alchemy.